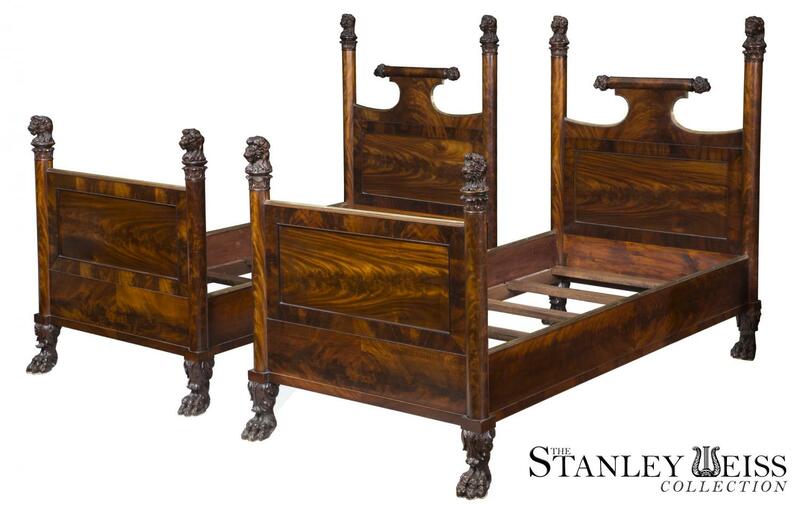 Twin beds of quality are hard to come by, and this pair is exceptional. 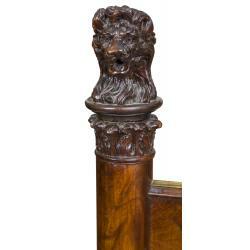 With the finest figured mahogany throughout, and of the best developed carving. 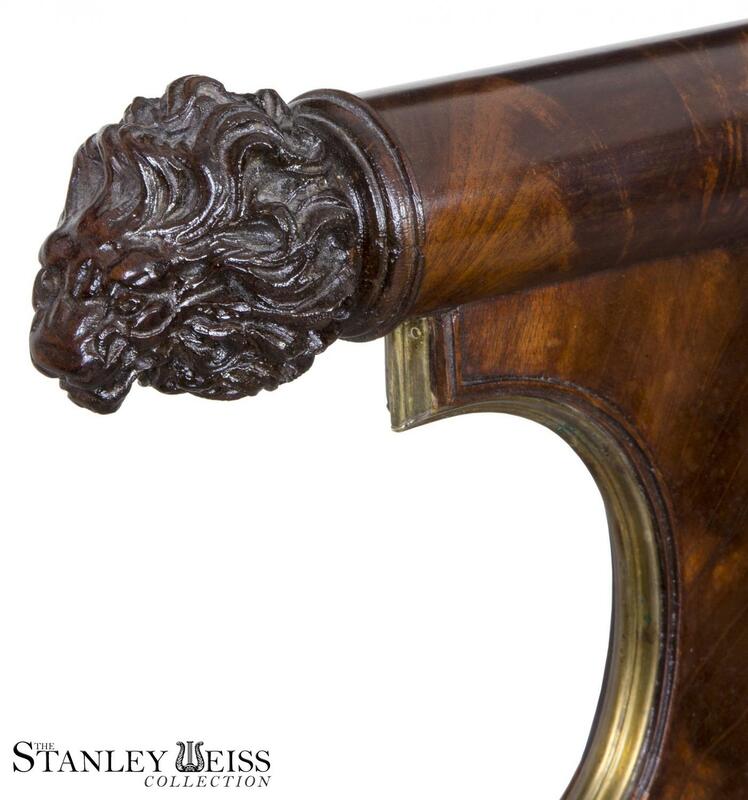 Also note the brass embellishments on the long exposed edges. 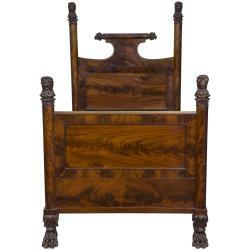 These beds are slight smaller than the typical standard and mattresses can easily be made to fit. 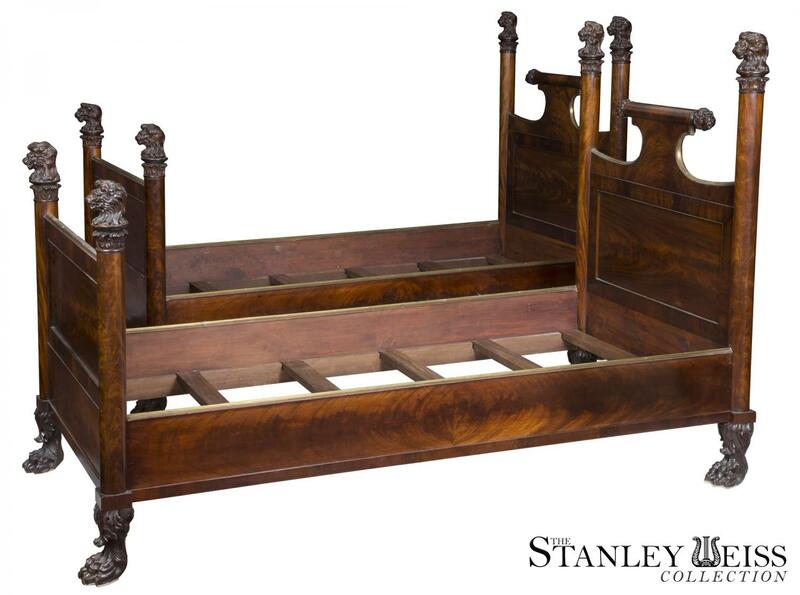 We can provide a source for such. 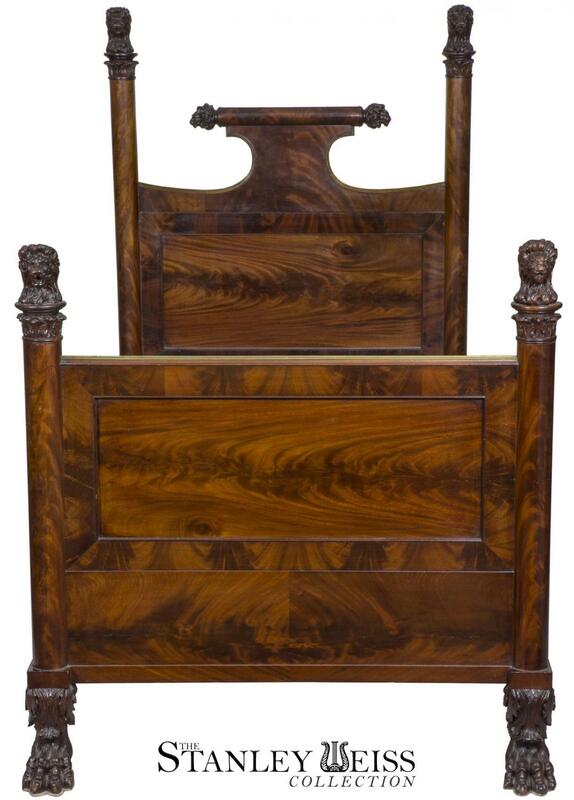 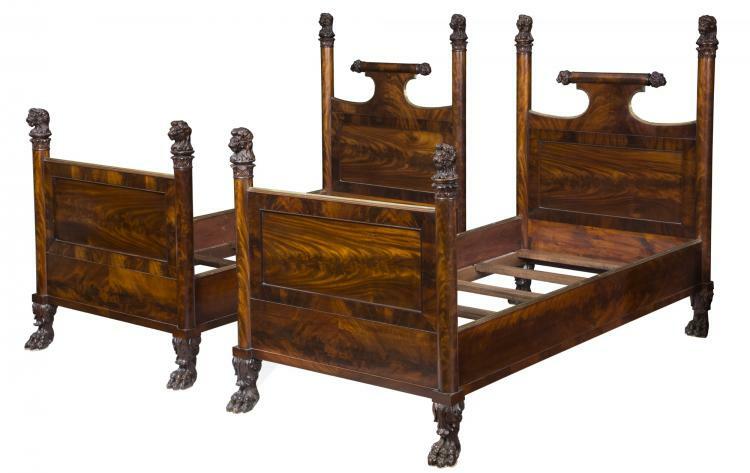 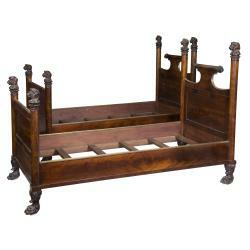 This pair of beds makes a statement in an historic bedroom and will be a joy to live with. 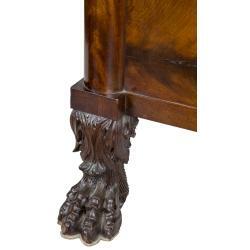 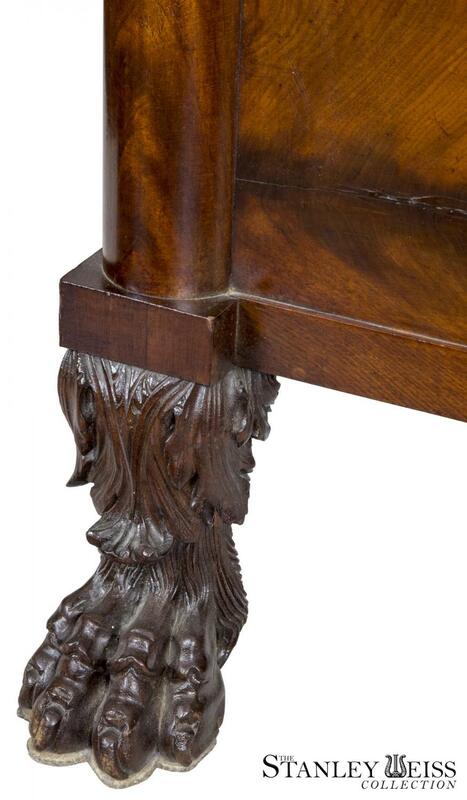 Nothing is left undeveloped, including the sides of each bed and the finely developed paw feet with acanthus leafage. 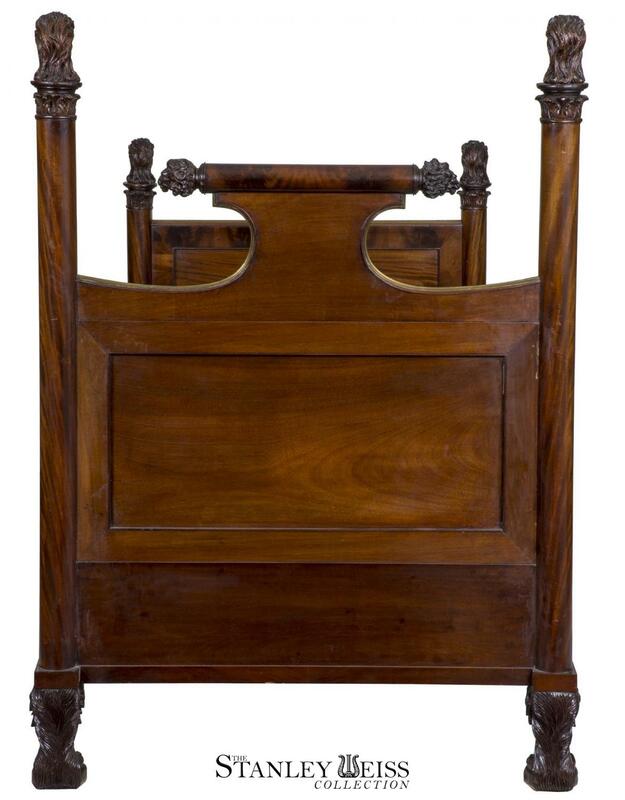 Height: 56 in. 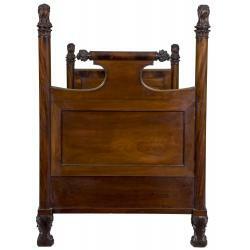 Width: 39 3/4 in. 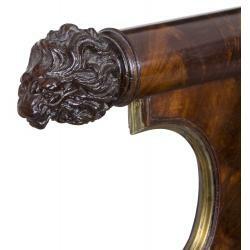 Length: 80 1/4 in.